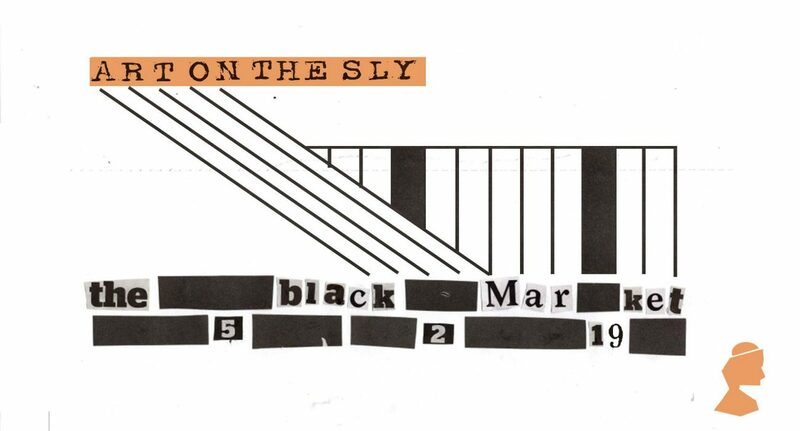 The student-led group, Art on the Sly, are back at work, aiming to start off 2019 with a bang at their next event, ‘The Black Market’. The group, which aims to make the realm of the arts more accessible, is now looking to change the nature of art collecting, making it a less exclusive occupation. I discussed the up-and-coming event with one of the group’s founders, Eleanor Moselle, who summarised the typically egalitarian ethos behind the event: ‘The Black Market’ is “all about giving everyone the opportunity to sell, trade, and own art away from the exclusive and inaccessible world of art collecting. “If you want to bring along your work – even if it’s only a single sketch/pair of earrings/Plasticine pencil pot – then we’ll love it!” What is clear to see is that this event will provide a judgement-free space where anything goes; facilitating self-expression is at the core of Art on the Sly. In a world in which art collecting tends to be reserved to an elite few, Art on the Sly is seeking to shake up the system: “it’s about an alternative kind of buying experience; we’re dismantling the ‘seller/buyer’ dichotomy” says Moselle. Moselle informs me, however, that this is not only a chance to purchase or exchange each other’s creations, Art on the Sly’s aim is “to make an environment where everyone feels entitled to an opinion on what they like, where they feel their taste is valid and that they can afford to buy a piece of art they love.” Once again, this group is creating a safe space in which ideas and creativity can flourish, in a society that is becoming increasingly more hostile to the arts. If you’re looking for an artistic start to 2019, paired with a groovy night of all-female DJs, this is not an event to miss. The Art on the Sly team are bringing boldly subversive ideas to the student community, welcoming art-makers and/or appreciators with open arms. The Black Market will take place at the Fairfield Social Club on the 5th of February. In the meantime, check out Art on the Sly on Facebook for more details and updates.